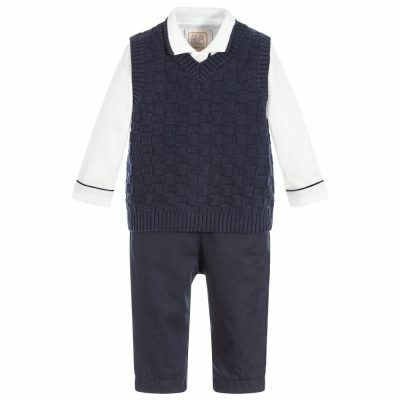 This is a fabulous three piece outfit for baby boy, perfect for any “smart casual” occasion. 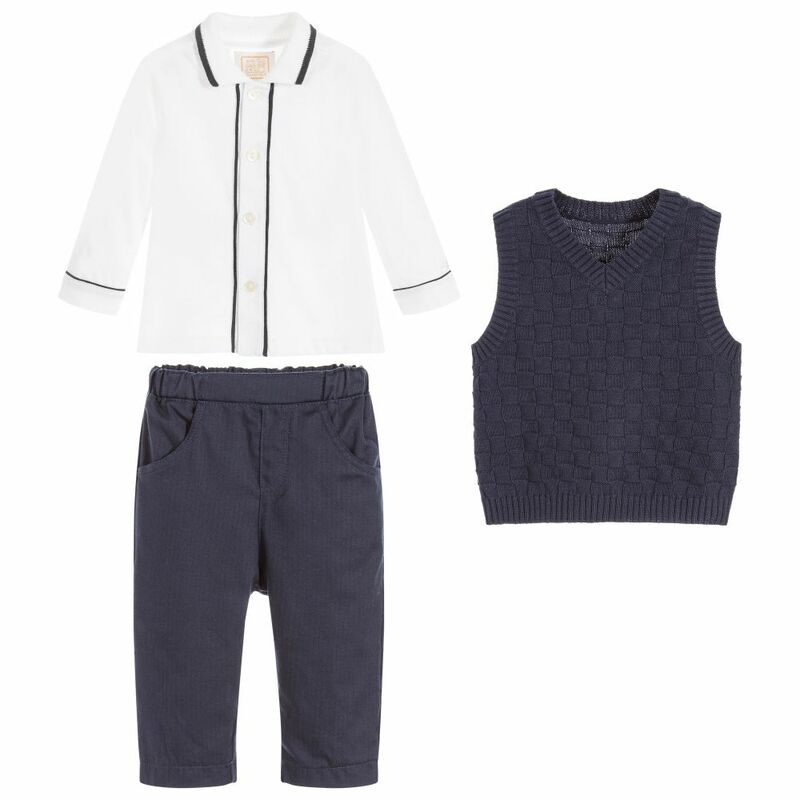 The knitted v-neck tank top is in a navy cross feature knit, with matching navy ribs . 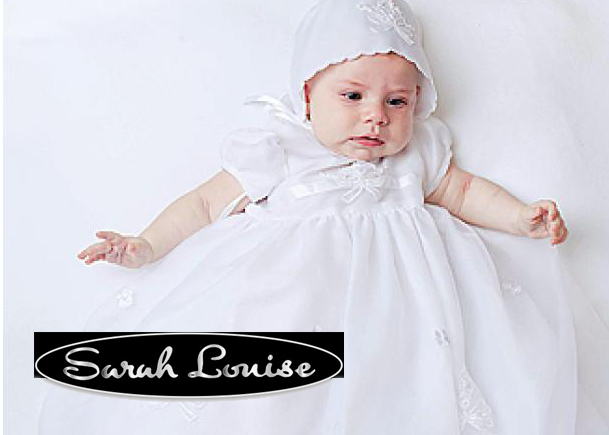 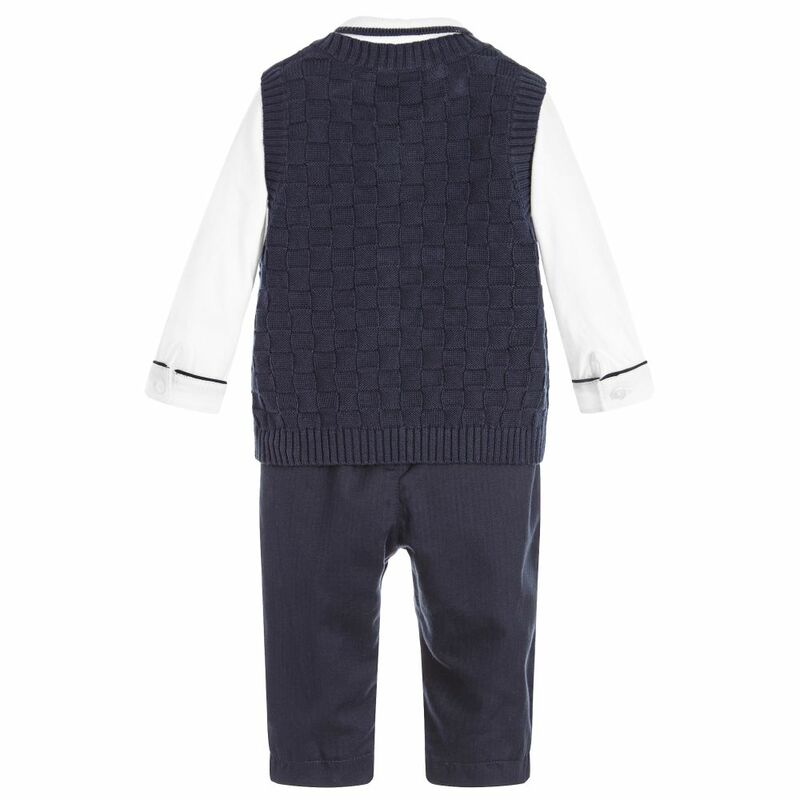 It sits over an ivory jersey baby shirt which has a flat frame collar edged with navy, and which is fastened with shell buttons.The outfit is completed by the navy mini rib trousers with pockets and a gently elasticated waist.